After working 20 years in the grocery industry, Elise Johnson found a way to improve the systems used by employees on the grocery retail side and also by vendors on the manufacturing side. 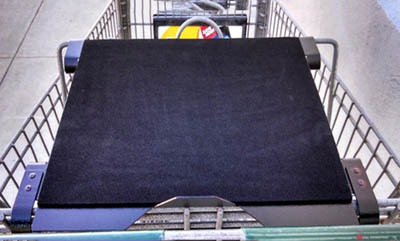 With feedback from Price/Scan coordinators, she found that 5 to10 minutes per day can be saved by not having to reorganize tags out of a cardboard box, look for a flatbed cart or push a large square cumbersome sign cart. 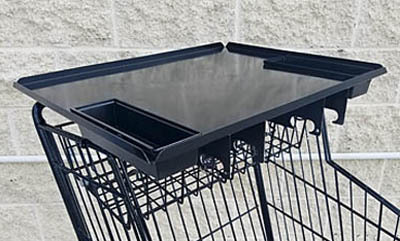 The Compucart Price / Scan Coordinator Tray is non-cumbersome, removable, and can be stored easily. 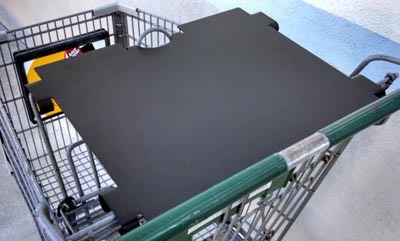 Using the Compucart Portfolio Bag or Laptop Tray, a vendor will save over 5 minutes on each store call. 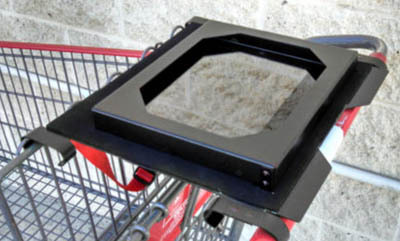 The Compucart Tray eliminates the struggling that a vendor encounters throughout the sales call: attempting to fit a notebook, portfolio bag, etc. on top of a shopping cart. Our list of satisfied customers include: Publix, Nestle, Nielsen and many more! Please call us at 760-868-2450 if you have any questions. We can custom build a tray to fit your needs. We also offer multi tray discounts starting at 50 per tray. We ship UPS Ground, for expedited and other shipping rates please call us. Compucart has been in business since 1995. 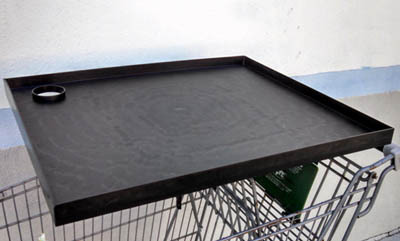 All of our Compucart trays are 100% made in America, with premium quality American products. Compucart is a woman owned business. 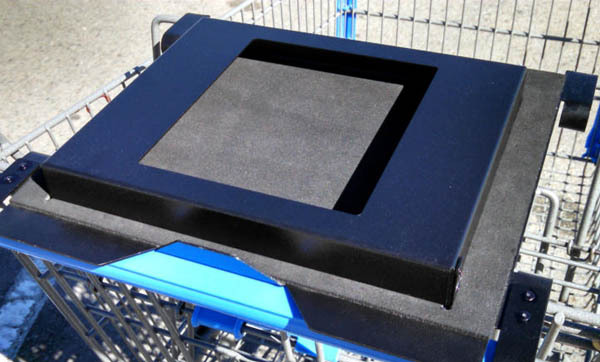 Click here to order your Compucart tray online today!